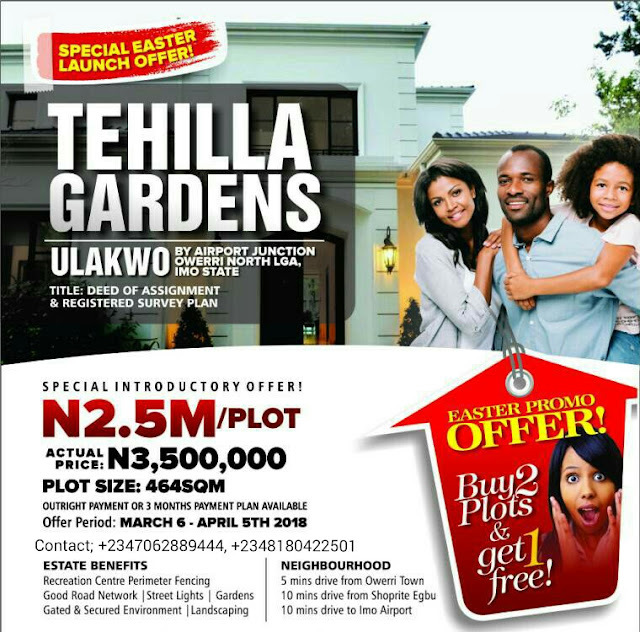 Home / Properties / TEHILLA GARDENS ULAKWO AIRPORT ROAD/ABA OWERRI ROAD OWERRI, IMO STATE. TEHILLA GARDENS ULAKWO AIRPORT ROAD/ABA OWERRI ROAD OWERRI. This is one of the best estates we have selling presently because of the outstanding landmarks. We have a new interstate dual carriage road presently been constructed from ULAKWO TO PORT HARCOURT by the federal government. * Guess what? This property is on that expressway. * Few mins drive to the popularly known Sam Mbakwe Airport Owerri which is the only airport in Imo state. Do you know that the presence of the airport alone is enough to attract over 200% value to this property. * DURATION PERIOD: 12 MONTHS. WHAT DO I GET AFTER PAYMENT? 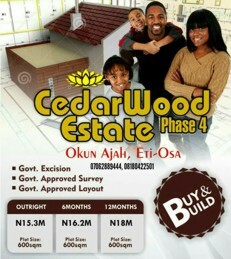 * Total secured and gated estate. * Police post within the estate. * Street lights and Landscaping.